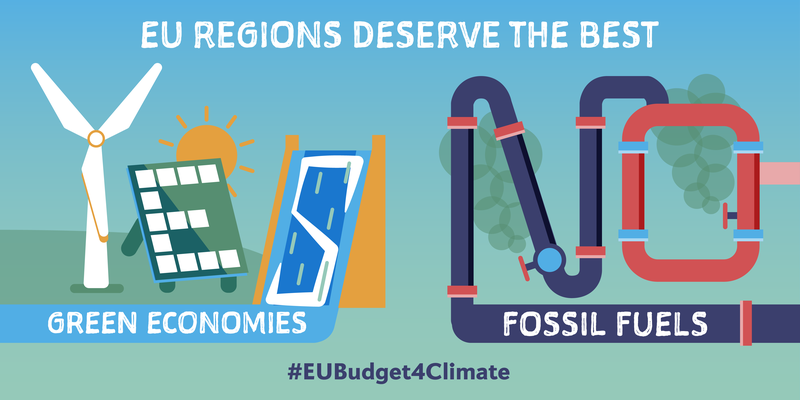 This week the European Parliament will vote on how billions from the EU budget should be spent in Europe's least prosperous regions. Their choice is stark: fund the fossil fuel industry or support a transition to a clean, sustainable economy. It is one of their last votes before the EU elections in May. "How will we remember these MEPs? Will it be for helping keep the dying coal industry alive and locking in harmful gas, or for ensuring all areas of Europe have help to move to a cleaner, safer economy? One thing is clear: the future is clean and sustainable. 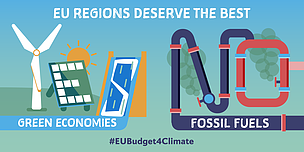 To ensure their voters can reap the health and economic rewards, MEPs must vote to exclude fossil fuel funding from EU money." MEPs are voting on EU Cohesion Policy on Wednesday 27 March and specifically, the European Regional Development Fund. Cohesion Policy funding aims to reduce territorial disparities across EU’s regions, particularly in central and eastern Europe. The European Commission had proposed in May last year to exclude fossil fuel support from EU’s Cohesion Policy funding. However, this exclusion was then watered down by MEPs on the regional development committee who revived funding possibilities for fossil fuels, in particular gas for the transport and heating sector, and for coal in district heating. An open letter from business, cities and NGOs has been sent to MEPs, calling on them to rule out fossil fuel investments.The signatories of the letter are concerned that allowing gas and other fossil fuel investments would lock-in climate-harmful infrastructure in European regions despite the urgency to act on climate change, and would cut European economies out of the new jobs, enhanced competitiveness and modernisation arising from the clean energy transition. Further investments into fossil fuel infrastructure will undermine the EU’s ambition to become carbon neutral by mid-century or ideally, 2040.